Dr. William Barrick is Professor of Old Testament and Director of Th.D. Studies at The Master’s Seminary (Sun Valley, CA). 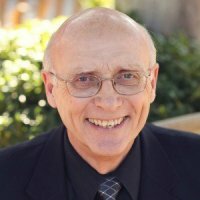 From 1981 to 1997, he was affiliated with the Association of Baptists for World Evangelism, where he served as the exegetical consultant for Bible translation projects, theological consultant for the literature division, and an adjunct faculty member of the Baptist Bible Institute of Bangladesh, Bangladesh Theological Seminary, and the Grand Rapids Baptist Seminary Extensions Program in Singapore. From 1972 to 1978 he was also Professor and Chairman of the Old Testament Department at Denver Baptist Theological Seminary. Dr. Barrick has contributed to Bible translations in six languages, authored 24 books, and written more than one hundred scholarly articles and reviews. He has been married to his wife Barbara for 48 years. They have four married children and fourteen grandchildren.